It was a busy month, particularly weatherwise. We had lots of cold days when staying in was cozy. Then we had three days of the ice storm when I could not step out of my house. I could get into my car in the garage and drive up the driveway to the mailbox but could not put a foot down on the slick ice. It was a strange feeling to be so cut off; luckily, email, Internet, TV and phone service made life go on without much interruption. But it did give me reason to think of women a century ago who had no such conveniences! I finished two children's quilts out of some 6" squares I've had for quite some time. They were pre-cut (pinking shear edges) and I have no idea where they came from. I call these "picnic" squares because they look like tablecloth fabric. I made three walker totes (keeping up my commitment) and then enjoyed making three more Color Bar pieces. No progress on the reorganizing of the fabric. Maybe February will be more conducive to rearranging and folding fabric. It's only natural that we do some looking back/looking forward at the end of a year. Wow! 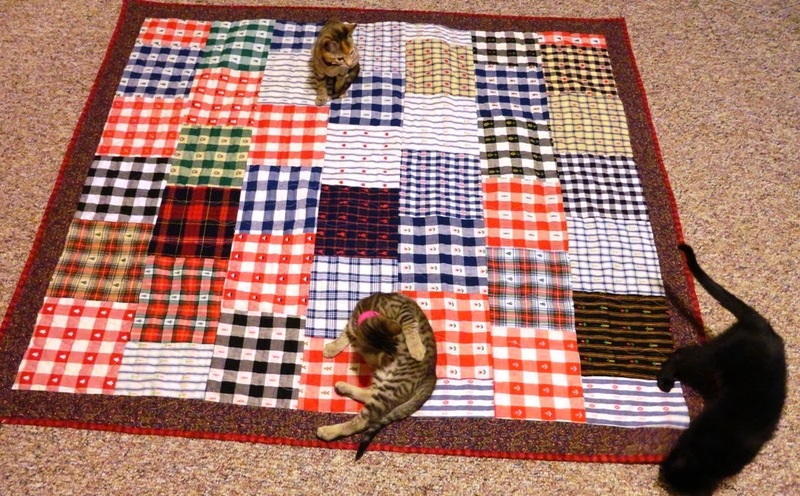 2013 was full of great quilting adventures. 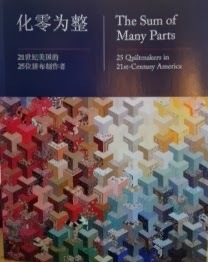 In February I had a joint exhibit with Dianne Williams at the Hattiesburg Cultural Center; in March I went to China to attend the opening of one of the venues of The Sum of Many Parts and speak to groups in Dalian and Beijing; in April I attended the annual SAQA conference in Santa Fe. October included a trip to Corpus Christi, Texas, for my 60th high school class reunion. The Back Door Coffeehouse quilt was completed and donated (more about that later). 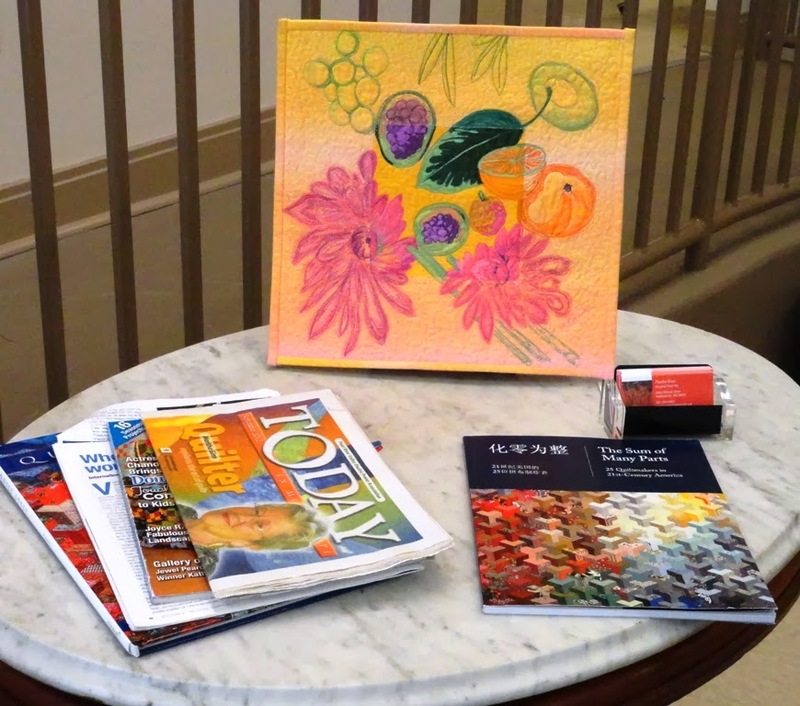 My solo show at the Lucile Parker Gallery at William Carey University was well received and brought a few sales. Getting to talk about my art and explain some of the inspirations and techniques was enjoyable and rewarding. What about 2014? After all the excitement of this busy year I expect things to be at a slower pace. Well, that never happens! 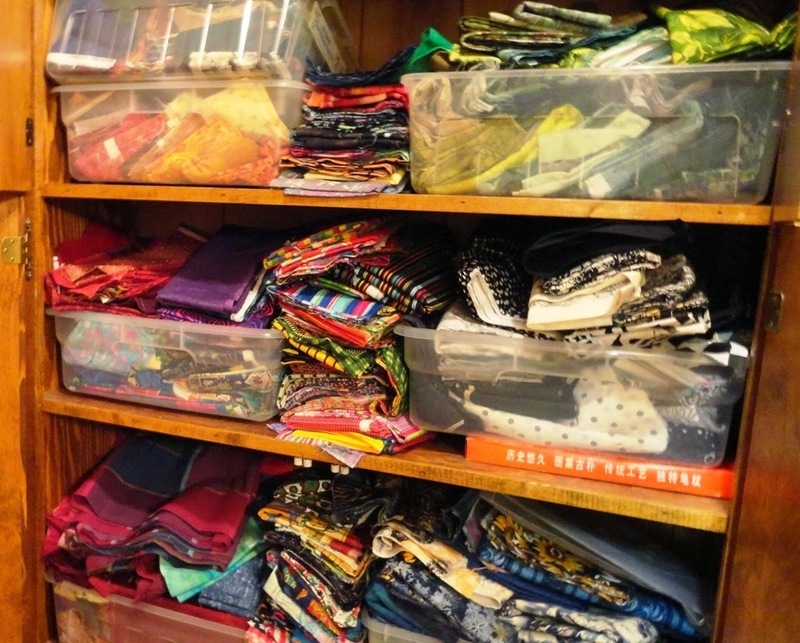 Every so often it is necessary to completely clean out and rearrange fabrics--a linty, dusty but fun thing to do. Colors get grouped; sizes get grouped; types get grouped. And discoveries of jewels are made that I had forgotten I had. meeting. 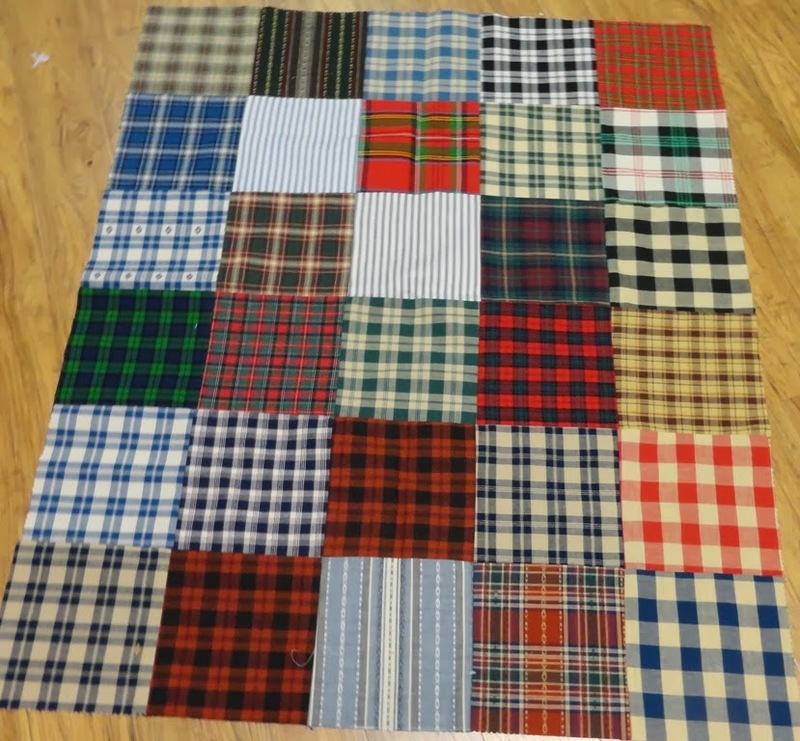 I will separate my "children's and donation" fabric to be more productive in these activities. 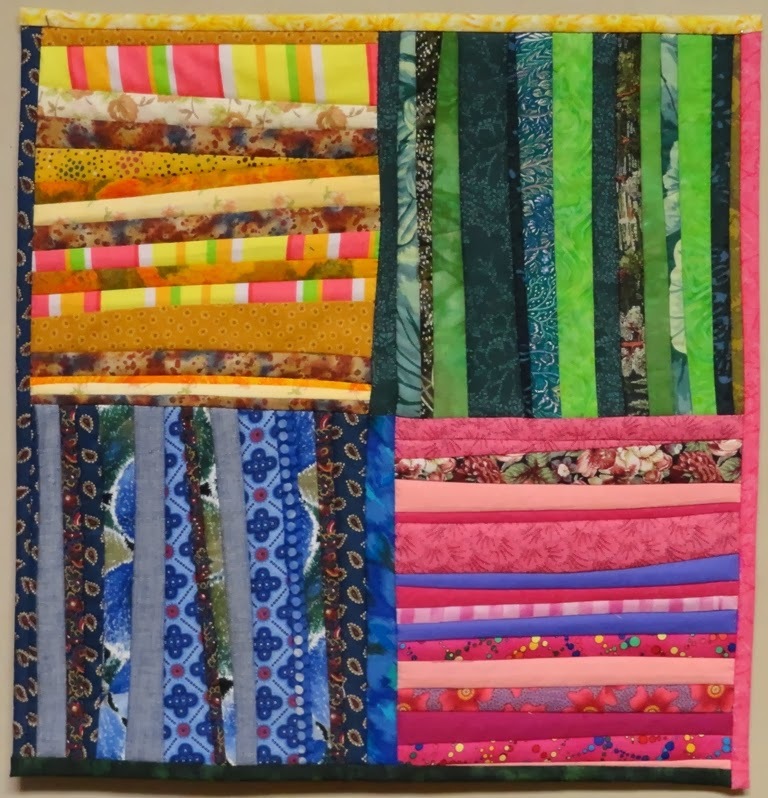 Improvisational strip quilts are still intriguing, and there will be more of these. 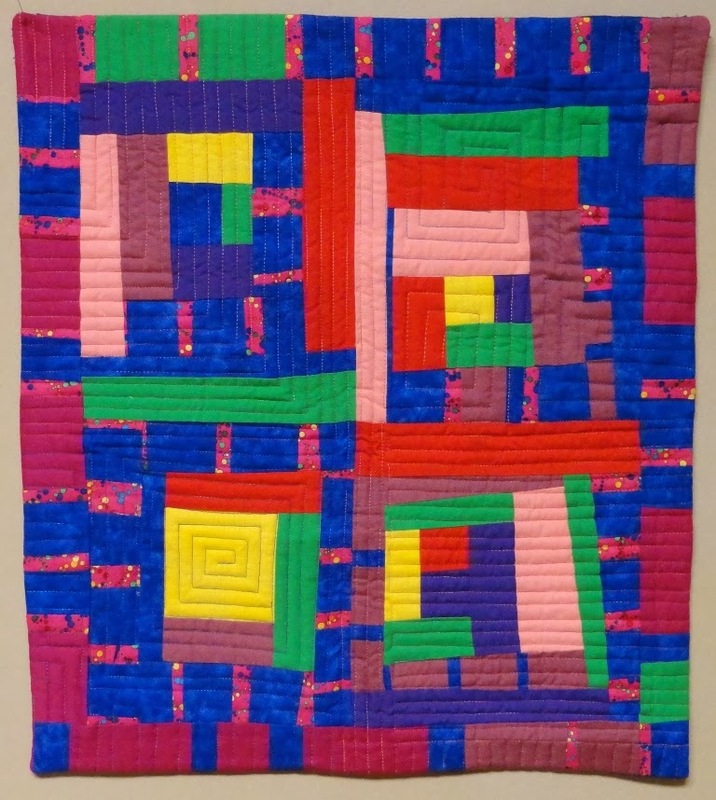 Our guild, Pine Belt Quilters, has its 15th biennial show in October; we also celebrate our 30th anniversary--quite a milestone. There will be lots to do in this regard, including website revision. 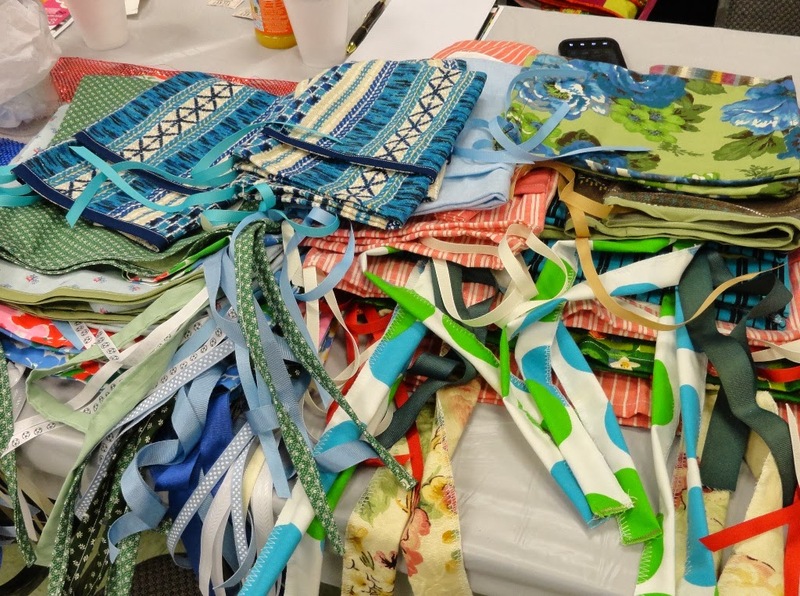 But we have wonderful quilter friends to work with--a win-win situation. How can it not be a great year??! !